Nunavut (; from Inuktitut: syllabics ᓄᓇᕗᑦ [ˈnunavut]; [nynavy(t)]) is the newest, largest, and northernmost territory of Canada. It was separated officially from the Northwest Territories on April 1, 1999, via the Nunavut Act and the Nunavut Land Claims Agreement Act, though the boundaries had been contemplatively drawn in 1993. The creation of Nunavut resulted in the first major change to Canada's political map since the incorporation of the province of Newfoundland and Labrador in 1949. 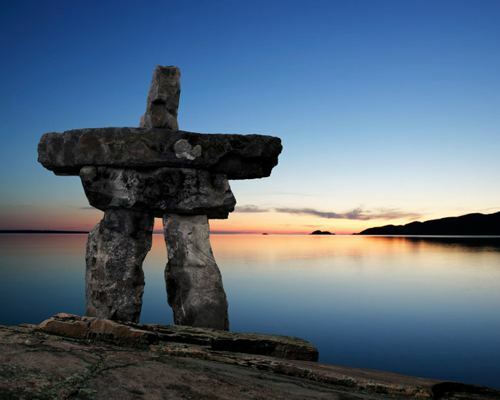 Nunavut is the largest in area and the second least populous of Canada's provinces and territories. 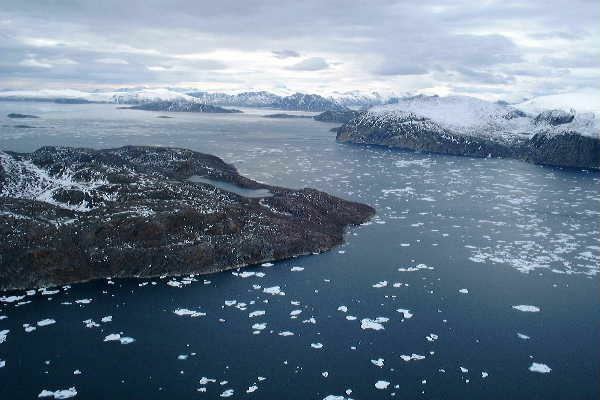 One of the world's most remote, sparsely settled regions, it has a population of 35,944, mostly Inuit, spread over an area of just over 1,750,000 km2 (680,000 sq mi), the size of Western Europe. Nunavut is also home to the world's northernmost permanently inhabited place, Alert. 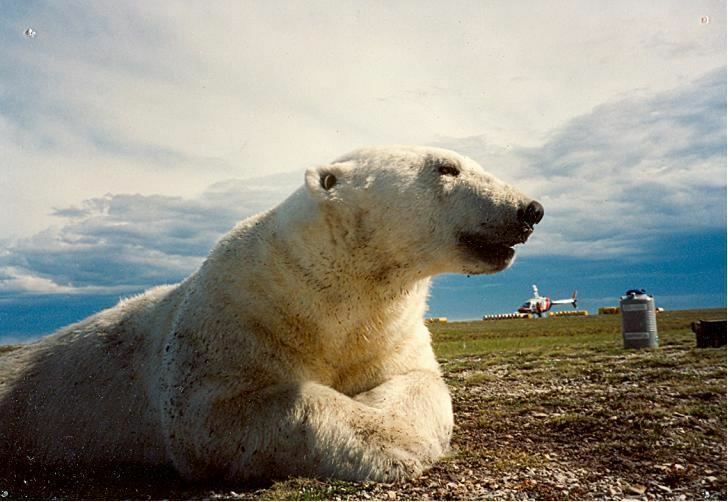 A weather station farther down Ellesmere Island, Eureka, has the lowest average annual temperature of any Canadian weather station. Nunavut covers 1,877,787 km2 (725,018 sq mi) of land and 160,935 km2 (62,137 sq mi) of water in Northern Canada. The territory includes part of the mainland, most of the Arctic Archipelago, and all of the islands in Hudson Bay, James Bay, and Ungava Bay, including the Belcher Islands, which belonged to the Northwest Territories. This makes it the fifth largest subnational entity (or administrative division) in the world. If Nunavut were a country, it would rank 15th in area. The population growth rate of Nunavut has been well above the Canadian average for several decades, mostly due to birth rates significantly higher than the Canadian average—a trend that continues. Between 2011 and 2016, Nunavut had the highest population growth rate of any Canadian province or territory, at a rate of 12.7%. The second highest was Alberta, with a growth rate of 11.6%. Only English and French were counted as official languages in the census. Nunavut's official languages are shown in bold. Figures shown are for single-language responses and the percentage of total single-language responses. Nunavut elects a single member of the Canadian House of Commons. This makes Nunavut the largest electoral district in the world by area. Despite the restrictions, alcohol's availability leads to widespread alcohol related crime. One lawyer estimated some 95% of police calls are alcohol related. Alcohol is also believed to be a contributing factor to the territory's high rates of violence, suicide and homicide. A special task force created in 2010 to study and address the territory's increasing alcohol-related problems recommended the government ease alcohol restrictions. With prohibition shown to be highly ineffective historically, it is believed these laws contribute to the territory's widespread social ills. However, many residents are skeptical about the effectiveness of liquor sale liberalization and want to ban it completely. In 2014, Nunavut's government decided to move towards more legalization. A liquor store will be opened in Iqaluit, the capital, for the first time in 38 years.